The graphics are inspired by 19h century architectural ornament found in our neighborhood, Over-the-Rhine in Cincinnati. 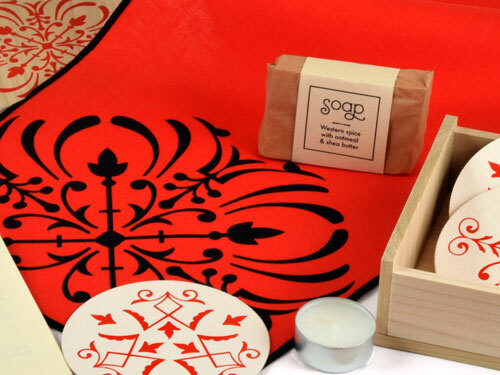 The fingertip towel features serger stiching that matches the screenprint, which has become our signature. 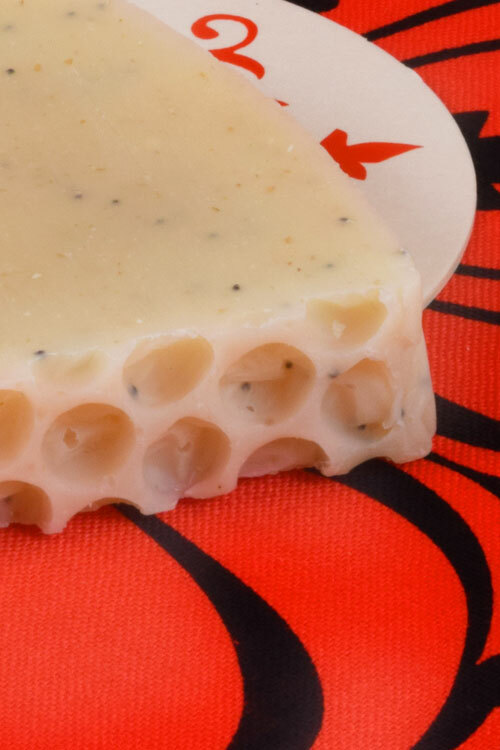 As with our new Lavender Love Kit, the soap was handmade for us by Orange Fuzz, a Cincinnati-based soap and cosmetics company. 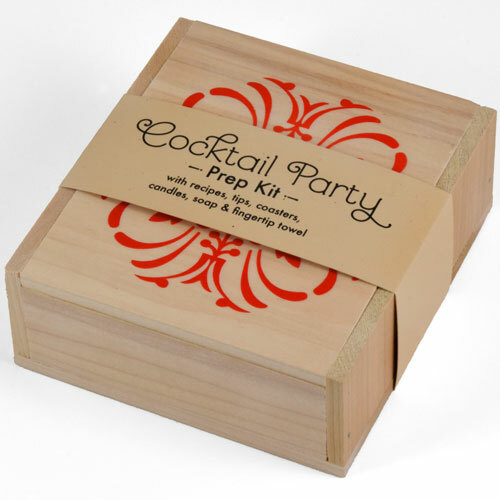 This kit includes a bar of Western Spice Soap with oatmeal and shea butter. 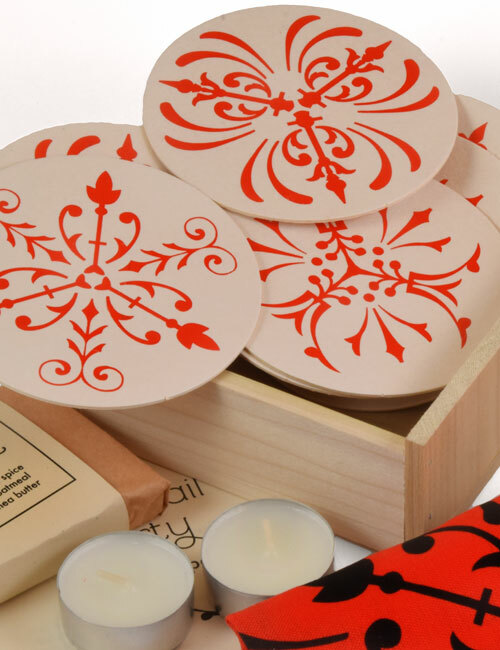 Everything fits inside a handmade trinket box that’s perfect for hiding keys, spare change and other odds and ends when guests visit. All the contents coordinate together to make a first apartment, or even a dorm room, look well put together in a flash! 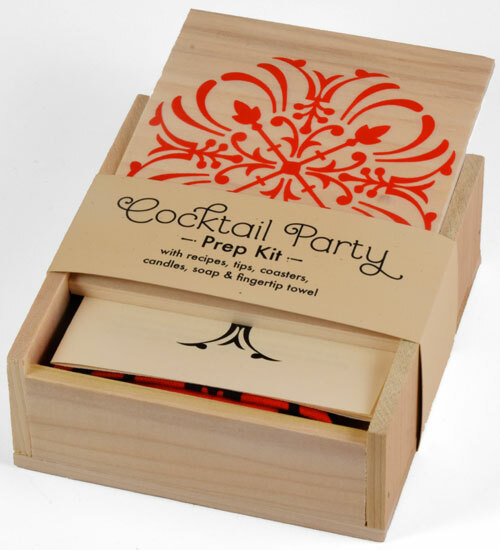 The Cocktail Party Prep Kit is available in the VL online shop, which is filled with handmade goodies for the home, garden and outdoors. Your merchandise is excellent. I enjoy learning about and sharing your projects. Have you ever considered doing things for pets? Thanks so much for your kind words! We actually make three animal-focused products: Dog & Cat Friendly Seed Bombs, Wildlife Habitat Seed Bombs and the Backyard Habitat Kit. You can check them out here.